Tuesday December 19, 1944, 3 days after the oubreak of the Battle of the Bulge, the Regiment received order to departed Barton Stacey (England) for departure from Chilbolton Airfield located 2.9 miles south west. From 20 to 22 Decembre, the Regiment awaited flying weather for departure while seaborne echelon departed Barton Stacey for France. From 23 to 24 December, elements of the Regiment were flown to the Reims area (France). Decembre 23, 1944, advance details for all unit, Regimental Headquarters and 1st Bn departed by air for an area located 6 miles north of Laon (France). December 24, 1944, 1st echelon continued move to Mourmelon la Grande. Remainder of Regiment departed Chilbolton for Laon. 1st and 2nd echelon and seaborne echelon closed in Mourmelon. 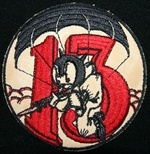 Upon arriving the 513th PIR and the other elements of the 17th Airborne Division were attached to Patton's Third Army. The first war mission assigned to the Division was the defense of Meuse river because at this time, the german troops continue their advance on west and had reach the Marche-en-Famenne line while all the Allied divisions are engaged in frontline. There was so a real concern about a breakthrough to the Meuse river. December 25, 1944, the Regiment departed Mourmelon for defense of Meuse river. On December 26, the 513th PIR closed in positions along Meuse river with 1st Bn and Regtl Hqs in vicinity of Chatel Chehery - Omicourt, 2nd Bn in Stenay and 3rd Bn in Verdun. From December 27 to 31 , 1944, the men organise the defense of Meuse river while German penetration is stopped short of the river, near Dinant. During this time the men saw no action except patrolling. There was still concern about german infiltration and enemy parachute drops and the patrols attempting to pick up information. Light strafing and bombing of town, railroad and bridges along Meuse river are report. January 1, 1945, the Regiment departed Chatel Chehery for the front line west of Bastogne. I have not yet found information about the exact timing. All I know, according to the After Action Report of the 194th GIR, is that this day the Regiment was still in the vicinity of Montmedy (France) at 14h10. It is so reasonnable to think the travel was completed during the night between January 1 and 2, like the 193rd GIR (ndlr). 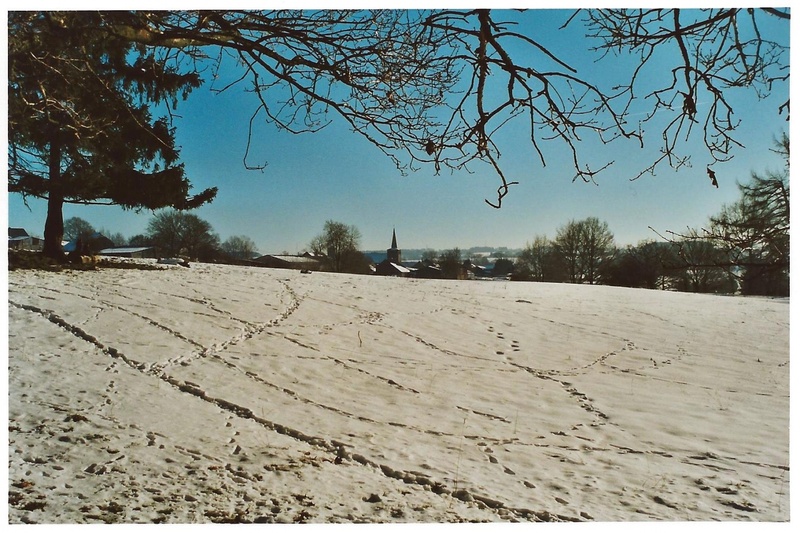 In all cases, the Regiment made the travel by night considering the briefness of the days at this time of year. Another point remains a mystery : the exact way used from France to Morhet ! It seems reasonnable to think the Regiment crossed the border in the area of Florenville (Belgium) but it is just a personnal assumption. However, if Neufchateau (Belgium) is generally named as the finishing city of the travel, the trucks didn't stop in the city. The assembling area being located between Neufchateau and Morhet, along the actual N85 road. My opinion is this city is usually named in the US reports because at this time it was the last city before the front line. January 2, 1945, the Regiment is on its assembling area, closed from the front line, somewhere in the vicinity of Morhet. It received order to make movement towards the vicinity of Flamierge and Flohamont. The 1st Battalion under command of Lieutenant Colonel Alton R Taylor, was sent in the woods called "Bois de Fragotte" and suffered its first casualties at this place because of German artillery fires as described by Derk Strikwerda, Operation Sergeant in C Company. According to him, 17 members of C Company were wounded during the night of January 2 to 3. It received artillery fires all the day and fights again German mechanical units (I am absolutely not sure with that). 2nd Bn ordered to relieve elements of the 11th Armored Division in Monty. It seems this movement toward Monty was completed during the night, just before midnight. Monty is no more than a little crossroads located very closed (approximatley 200 meters) from the greater village of Mande-Saint-Etienne. 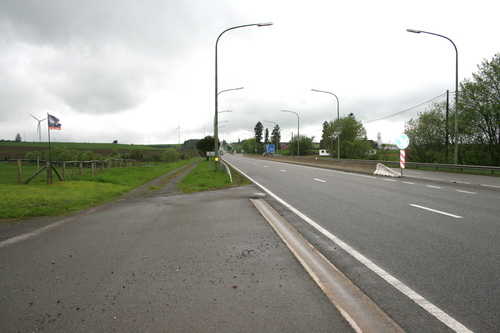 The two hamlets are parted by the National 4 road. This place is probably the worse place in this area for military operation. It is located in a bed of a basin overhang by Fragotte woods and Jacks woods on south, a crest on north-west (later called "Dead man ridge") and Mande-Saint-Etienne on east. Arriving in Monti, Lt. Col. A. C. Miller decided to take position in the village of Mande-Saint-Etienne still occupied by the German soldiers. It results a fighting for the village that evolved finally in favor of the US troops. The German soldiers give up the village but entrench in solid defensive positions in woods overhanging the village on north. I have realised this photos during winter 2002, in the edge of the woods located north of Mande-Saint-Etienne, exactly at the place where the German troops retreated on January 2, 1945. The woods no longer exist but at this time it was still possible to see the German fox holes (bigger than american ones). These positions will be later occupied by Company C - 193rd GIR (TFH collection). It seems Lt. Col. Miller opens his Command post in a farm located above the church. Company E remains in Battalion reserve. The positions of the second Battalion remains uncomfortable, under the direct German fire. Lt. Col. Miller organised so a strong defensive position with Companies D and F on first line and roadblocks on the roads toward Champ and Bastogne. This other photo realised in winter 2002 shows the main street of Mande-Saint-Etienne. It was realised regarding to south-east and shows the church and the farms around. 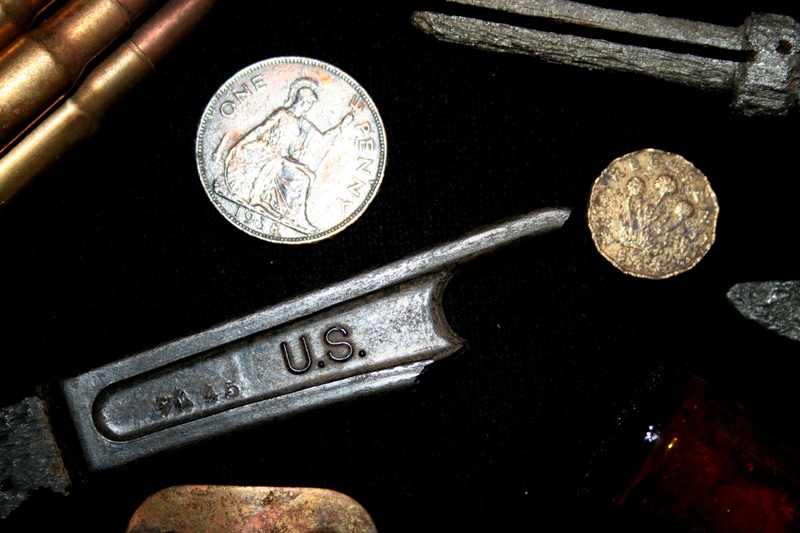 The Lt. Col. Miller CP was probably located in one of them (TFH collection). 3rd Bn remained in regimental reserve in Jodenville while Regtl Hqs and Hqs Co were in the remains of Flohamont. This map shows positions of the 513th PIR on January 1 (presumed) in red and January 2, 1945 in orange (click to enlarge). Note that on January 2, the 513th PIR is stretched on 5800 meters (TFH designing with original US map Sheet 121). January 3, 1945. The Regiment received its first Division Attack Order. It must attack to north, from vicinity of Monty toward Flamisoul and the Ourthe river. The Battalion moved in the north east edge of the woods called "Bois des Valets" in the evening and was not able to establish contact with the 194th GIR located approximately 1000 meters to the west. 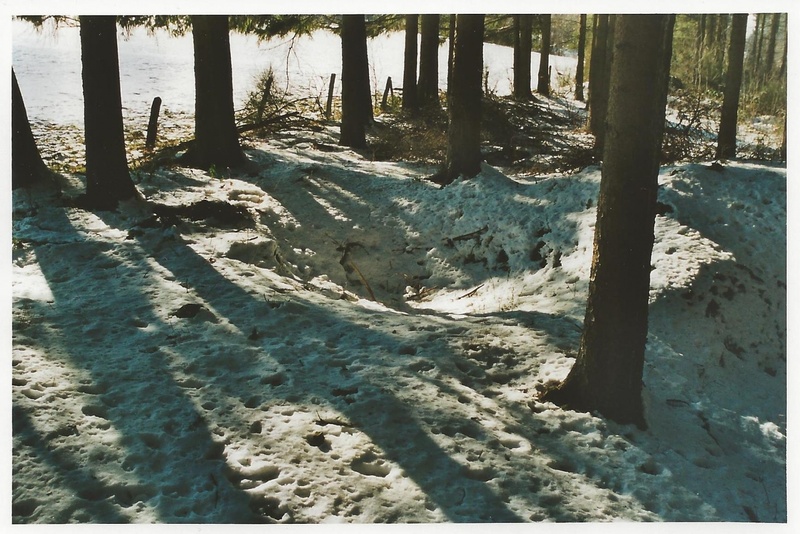 The place was full of American and German frozen dead bodies lying there and the paratroopers took place in the existing fox-holes or dug new ones. The 2nd Bn still fights in the vicinity of Monti again elements of the 29th German Armored Regiment who launch small infantry attacks supported by artillery, mortar and direct tank fires. The men captured 30 prisoners and destroyes 9 tanks but the mechanical communications were out and the Battalion was semi isolated by fire. It is so an Officer courier that sent the Regiment order for attack (on coordinate 040-815). Instead of organizing a staff meeting, Lt Col Taylor (1st Bn) gave the attack orders from his fox-hole and each company commander takes turn to receive them. A German artillery fire strikes on the battalion just before daybreak. 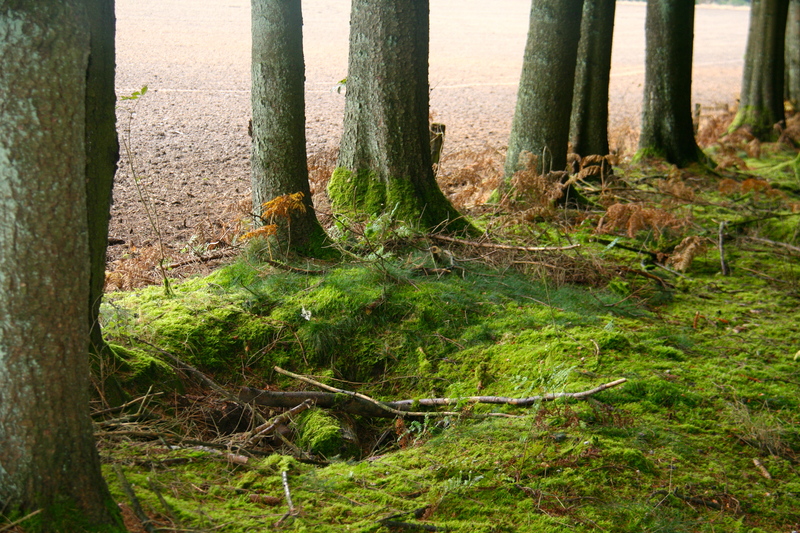 The 3rd Bn moves to the position previously occupied by the 1st Bn (Bois de Fragotte). Today, it is still possible to see fox-holes in the "Bois des Valets". 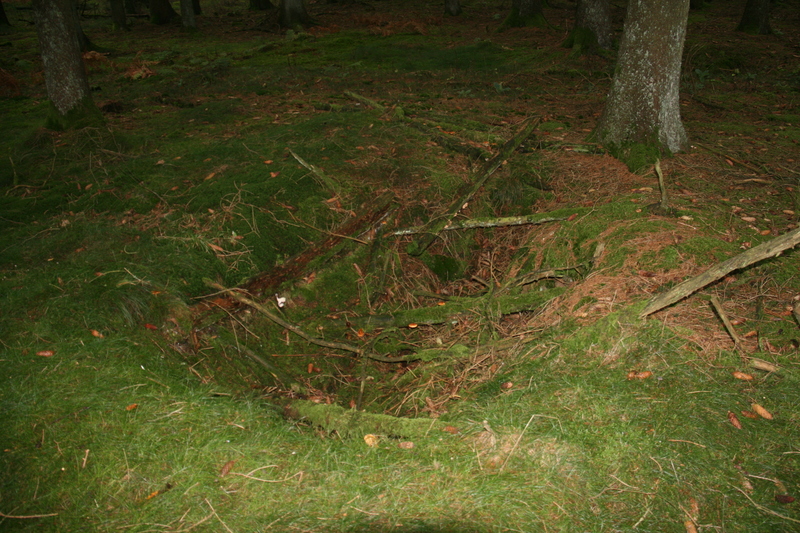 It is in a fox-hole like this one that Lt Col Taylor gave the attack orders for January 04, 1945. This one has been photographed in November 11, 2014 (TFH photo). 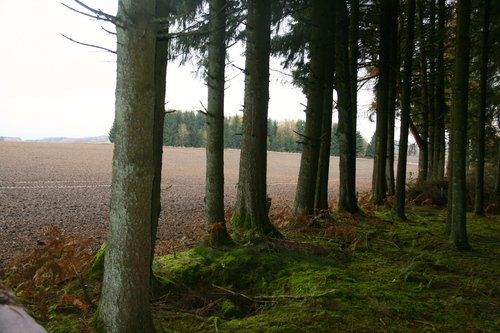 North edge of the "Bois des Valets", at the exact place where men of the 1st Battalion / 513th PIR were located during the 03 to 04 January night. Of interest, note that fox-holes are still existing today. These two others pics had also been realized in November 11, 2014 (TFH photos). Positions of the 513th PIR on the end of January 3, 1945. The German lines are (approximately) represented in red (TFH designing with original US map Sheet 121). 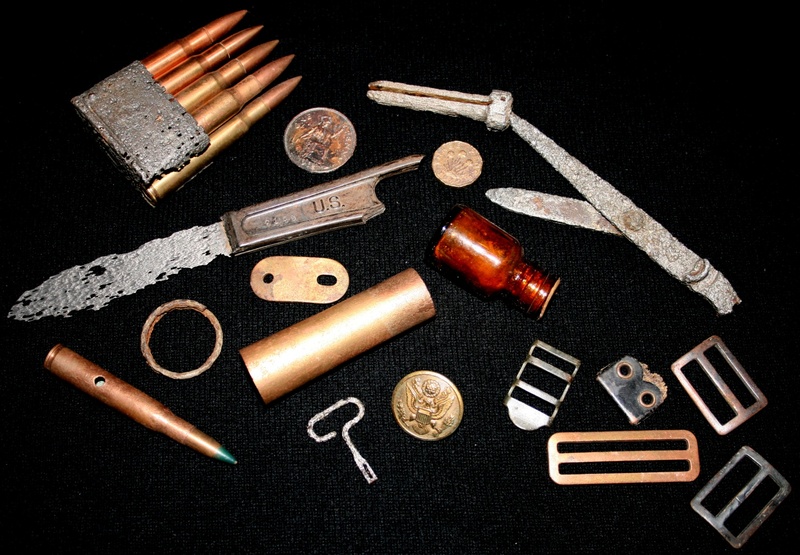 These artifacts are found during digs in the 80's in Bois de Fragotte, exactly in the positions of 1st and 3rd Battalions on respectively January 2 and 3, 1945. 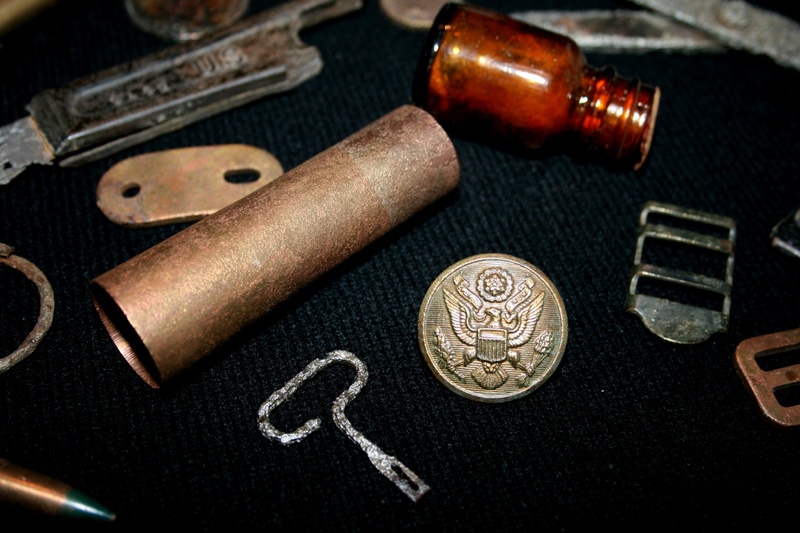 Men of the 513th PIR used .30 caliber Garand rifle ammunition with green bullet (see below). This is absolutely specific to the Regiment and these ammunitions are (to my knowledge) impossible to found nowhere else on the european battlefields. Note the ammunitions are permanently neutralized (TFH collection). 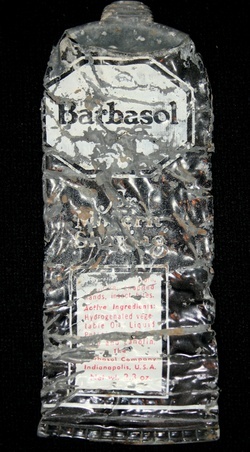 Other relics found in Bois de Fragotte : remains of K Ration food can still readable and an empty Barbasol shaving cream tube (TFH collection). January 4, 1945, General Patton had ordered the 17th Airborne to seize the town of Flamierge where the 11th Armored and the 87th Infantry Divisions had encountered heavy resistance from the Germans units. The plan called for two regiments to push forward, the 513th PIR on the right while the 194th GIR would be abreast of the 513th on the left. 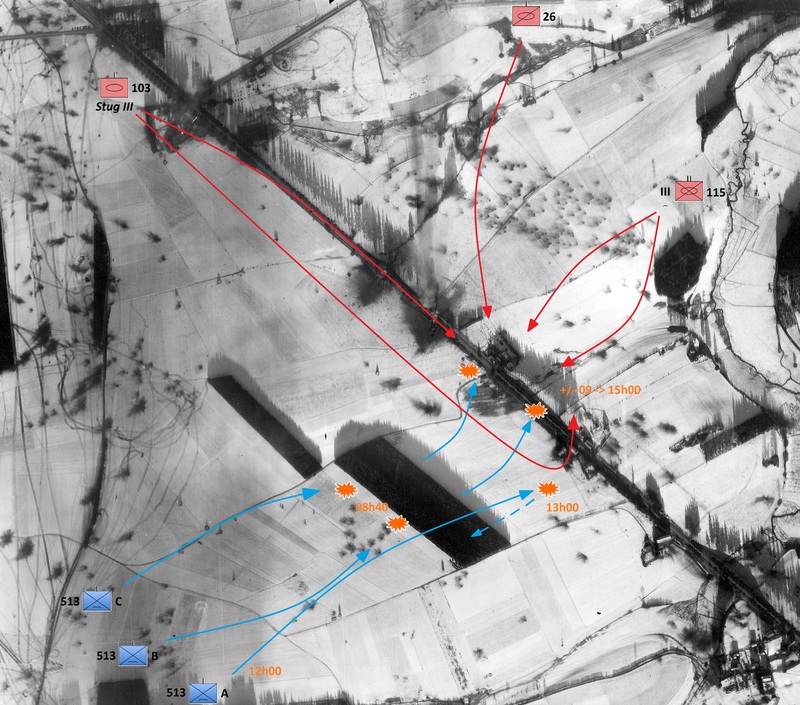 The 513th PIR received the mission to strike north from the vicinity of Monty toward Flamizoulle and the Ourthe river at 08h30, after a short artillery preparation fired by the 466th Parachute field Artillery Batallion. The 194th GIR attacking simultaneously on the left. 1st (on left) and 2nd Battalions (on right) were designated for the offensive while the 3rd stayed in reserve and HQ & HQ Co remained in Jacks Wood (Bois des Valets), very closed to the frontline. Strangely, the two battalions were ordered to jump off from their positions. As the 1st Battalion occupied the north east edge of the Bois des Valets and 2nd Battalion was located in Mande-Saint-Etienne, the two battalions must move so perpendicularly to the direction of the attack with little information of enemy positions or terrain over they were to operate ! The 2nd Battalion attacked north from Mande-Saint-Etienne with its Company E. It met heavy resistance from woods north of Mande. With heavy fighting, supreme courage and determination against heavily occupied and prepared positions, tanks and self propelled guns they forced their way through the enemy positions. E company lost three commanders in consecutive order while struggling forward. Finally, a platoon of F Company under the command of Lt Samuel Calhoun and a platoon of E company under the command of Lt Richard Manning made a fix bayonet charge that routed a superior German force while capturing many of the enemy. The remnant of one platoon reaches Flamisoul and is probably destroyed. It did not again join the Battalion. The remainder of the Battalion was held in the woods overlooking Flamisoul. A tank attack from the left flank forced the Battalion to withdraw to the woods immediately north of Mande and into the town. Fighting had been severe and casualties were heavy. On the early morning of this freezing Thursday January 4, 1945, in the area of the 1st Battalion, Company B under command of Captain James J Gannaway Jr (on right) and Company C under command of Captain Charlie W Kendrick (on left) jumped off at the scheduled hour while A Company under command of Captain John H Spears remained in reserve. In the C Company area, it was the 1st (Lt Ronan C Grady) and 3rd Platoon that lead the way with a HQ I Platoon in heavy weapons support. C Company / 22nd Tank Battalion, A Company / 630th Tank Destroyer Battalion and elements of the 155th Airborne Anti Tank Battalion and 139th Airborne Engineer Battalion (17th AB Division) are in support. According to the memories of George McGraw (Company C), it is not sure that the artillery preparation was done by the 466th PFAB. Despite the falling snow and poor visibility, Claude and his buddies moved forward with the mission to seized the high ground located around the villages of Flamierge and Flamizoulle located few kilometers east of them. They were rapidly pinned down by enemy fires coming from the wooded area located in the front of the departure line but the enemy resistance was relatively weak and the paratroopers rapidly besieged the woods, captured around 7 to 25 prisoners and then pursued the offensive in open grounds toward the National 4 road. This photo shows the battlefield today. It is realized on the left of the 1st Bn's departure positions. 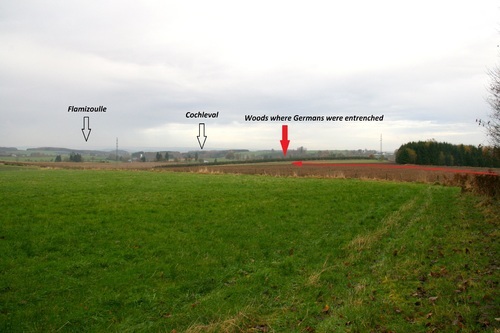 You see very well the objective on the left (the high grounds behind Flamizoulle), Cochleval on the way of the attack and the woods where the paratroopers were pinned down (the original woods no longer exist but a new one was replanted at the same place). The red arrow shows the way of the attack (TFH photo). In the first minutes of the attack, Captain Kendrick is badly wounded and his radio operator is killed, leaving C Company without communication with the battalion. 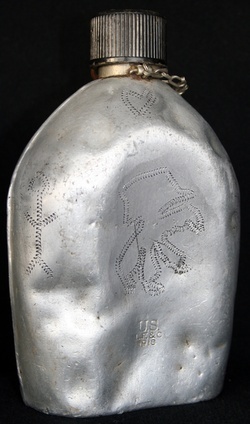 First Lt John T Hornyak, the Executive Officer took the head of the company but he is rapidly wounded by a piece of shrapnel and must be evacuated to the rear. German artillery continues its continuous harassment during the advance and German soldiers open fire when the paratroopers arrived near the N4 road. The progression can continue with the support of the .30 machine-gun and 60 mm mortars teams. The men of C Company arrived alongside the N4 in a place called Cochleval. At this time, Cochleval was a hamlet rather than a village. It is no longer exist. 2nd Lt Thomas Maloney (second in command of the C Company 3rd Platoon) and Sgt Griffin (Squad leader in the 3rd Platoon) were killed during the assault while a Sgt and two other troopers are left in the 1st Platoon. 19 additional men are wounded. It seems that 22 Germans were killed and 12 were captured alive. 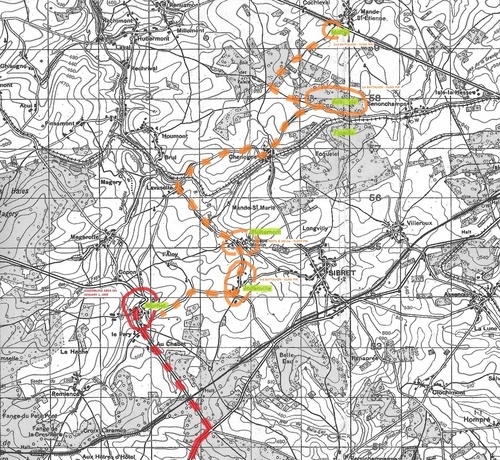 In the B Company area, according to the memories of Albert W Bryant, the men reached the N4 road in a place where the road was surrounded by high embankments. This place is located approximately 200 meters to the right of the C Company. Because of the heavy artillery fires, the men received order to put underground but the German tanks and self propelled gun open also fire and shooter aim at the top of the trees along the road. The paratroopers used their bazooka against German vehicles and a soldier located several meters in front of Albert W Bryant destroys an enemy tank before being killed by a direct shoot. One part of the poor men subsides near Albert. Isadore S Jachman, a courageaous Squad leader of 23 yrs-old in the B Company distinguished himself during these combats in destroying two German armored vehicles causing the remainder to break off the attack and withdraw before being killed by a burst from an enemy machine gun. He has received posthumously one of the 4 Medals of Honor (CMH) awarded to the 17th Airborne for this action. Casualties mounted quickly. This photo realized in November 2012 shows the National 4 roads. The snapshot was take around the positions occupied by the men of B Company. 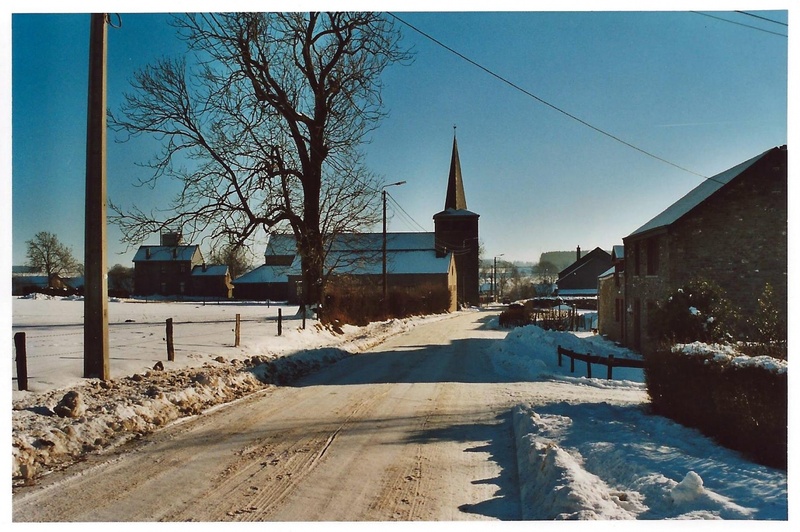 Cochleval was located in the place of the white stable (on right) (TFH photo - click to enlarge). Four Sherman tanks were in support but two were rapidly destroyed, killing all the crew members except one poor GI's who was helped by a Captain Medic. Unfortunately the tanker had his two feet snatched and died few minutes later. In the vicinity of Cochleval, the 3rd Platoon leader is wounded but remains to the head of his Platoon. A coordinate action with one of his squad on one side and two abreast allowed to seize a building in the hamlet and obliged the German to run away. After the lost of the place, German artillery opened fire during two hours before launching a counter attack. Two other paratroopers were killed and another wounded and the 3rd Platoon Commander was also wounding a second time. The wound was more serious he must be evacuated. Lt Bailey, Commander of the 2nd Platoon move forward and is also wounded in Cochleval and evacuated. Lt Grady, the only Platoon Commander remaining organize the defense with the 3rd Platoon on right and 1st Platoon on left. German pressure is strong and ammunitions are missing. Major Harry F Kies (Battalion's Executive Officer) came in Cochleval to make a briefing with Lt Grady and returned to the Battalion's Headquarters located in the "Bois des Valets". A First-Aid Station is organized in a barn of Cochleval. The lightly wounded men are send to the rear while the more serious ones are transported with one jeep. Lieutenant Colonel Taylor decided the road could not be used as an axis for the attack and that it would be impossible to cross the open ground to the north of the Bastogne-Marche road in these conditions. Around 12h00, he ordered the Company A to attack enemy forces in the area of Rau de Mande, at the intersection of 1st and 2nd Battalions. According to the testimony of Albert M Bruce (Company A), just before moving forward, the men of A Company have seen the C Company troopers return to the rear positions. Just after, Captain Spears launched his 2nd and 3rd Platoon to the attack while the 1st remained in reserve. According Albert Bruce, the 2nd Platoon opened the way approximately 100 meters before the 3rd Platoon. The men followed the same way than B Company toward the right part of the wood located in front. 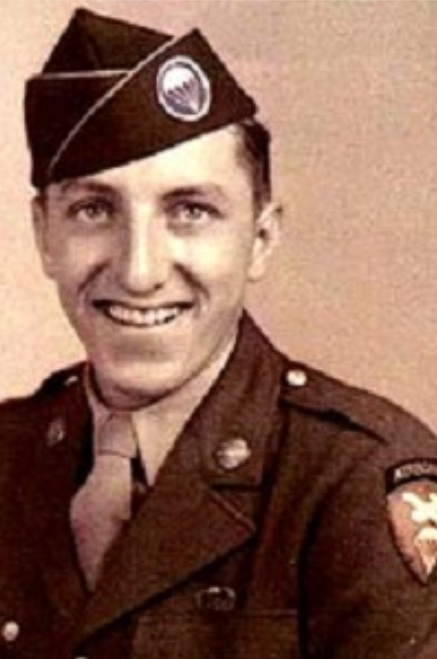 A shell exploded in front of the 2nd Platoon while the men arrived at the edge of the wood, wounding Coyl H Bolick Jr. 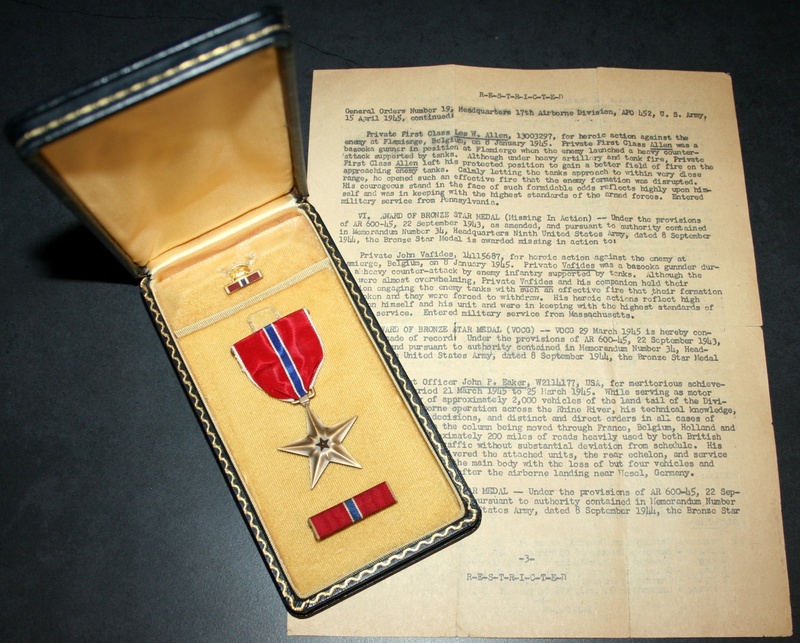 He was helped by Richard Schoonerman, Medic in the A Company, awarded the Silver Star Medal) under enemy machine guns fires. Kenneth B Segner escorted few German prisoners of war to the rear. A Company arrived at approximately 100 meters of the N4 road when it was stopped by the German units and obliged to retreat in the wooded area. It will receive retreat order at the end of the day, under protection of American artillery. The maneuver failed so and the enemy armor scattered across the entire front of the battalion. Around 01 AM, the German artillery fires increased before infantry rushed forward the men of the 3rd Platoon. Six German tanks were in support. Captain Charles H Jones, artillery observer in the C Battery / 466th PFAB distinguished himself when he ordered a fire on his position, allowing the destruction of two enemy armored vehicles. He will be awarded of the Silver Star for this heroic action. Once again, communications lines are destroyed. The German attack is repulsed but only one bazooka team is alive and commanding by Pvt Floyd C Davis who is wounded (he has received two German bullets). Fierce fightings continued and German troops launched new attacks around 02 PM. Lt Grady is badly wounded by 17 pieces of shrapnel ! and Sgt Collins took his place at the head of the resistance. He merged the remains of the two platoons to make only one. The jeep who carried out the evacuation of the wounded soldiers and supply of ammunitions is damaged. It ca be the jeep of Derk Strikwerda. In his memory, he tells he had received the task of supplying companies in the front line with ammunitions. His jeep was sent to the roadside by an exploding shell. A man called Falconer from the HQ I Company was with him and was badly wounded. At 02:30 PM, Lt Col Coutts decides to enter the 3rd Bataillon who remains in reserve and orders the withdrawal of the 1st Battalion and a maintaining of the 2nd Battalion on its position. The 3rd Battalion received the mission to establish a roadblock on the N4 road in the vicinity of Monty and contact with the men of the 2nd Battalion. An HQ & HQ section is send to the left and also five 75mm howitzers in front, six on rear and 5 Tanks Destroyers toward Cochleval. 3 are rapidly destroyed and the other ones withdrew. The 139th Airborne Engineer Battalion was ordered to extend the left flank to contact the 1st Battalion and 194th GIR on the left. 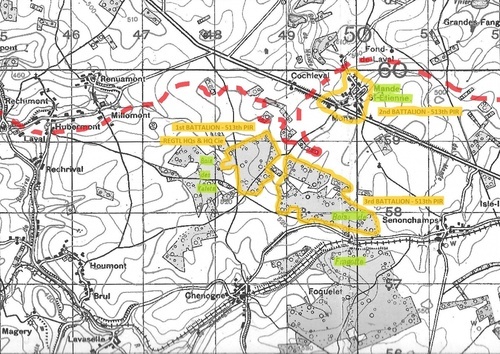 It was at that moment that the Germans launched another tank counter attack on the left flank of the Battalion with ten tanks and self propelled guns coming from the N4 road in direction of the rear of B and C Companies while more tanks located on the northwest hill crest opened devastating fire on the men. Floyd Davis knocked out a last German tank with his last rocket before being killed by the explosion of a shell. Isolated in this plains without aerial or armored support, the poor paratroopers were unable to keep the position. At the climax of the battle, Lieutenant Colonel Taylor broke down and Major Harry F Kies (Taylor's executive) took commands. The situation was desperate, all the officers of B and C Companies except one were killed or wounded, many men were also wounded or killed. Two German emissaries came from the N4 road and explained to the surrounded paratroopers that one of their tank has its barrel pointed to the Aid-Station. It has order to open fire if the American soldiers refused to surrender. An Officer that was not Battalion Commander accepted the surrender. This exceptional aerial view was realized on December 26, 1944. It is the only one I know that shows absolutely the hamlet of Cochleval (in the middle of the arrows !). With the information I have collected, I have tried to reconstitute the movements during this battle and the units involved (private collection picture and TFH map - click to enlarge). The prisoners were send to a big farm located closed to the front line to be interrogated one by one. After that, they were send to a big building that looks like an hospital. More than a hundred men were killed, wounded or taken prisoner only for the C Company and in fact, only the third Platoon of B Company which was not too advanced was able to get some of their men back. January 5, 1945, the Regiment remained on defensive position. A German counterattack began at 09h15 and was immediately stopped by coordinated fires of infantry and artillery. January 6, 1945, the Regiment still remaind on its defensive position. The 2nd Battalion shiffted from Monty to reserve in Bois de Fragotte. The 139th AEB was detached while 194th GIR closed in on the left flank. The 193rd GIR occupied vicinity of Monty. 11 tanks of the 11th Armored Division come in Regimental support. 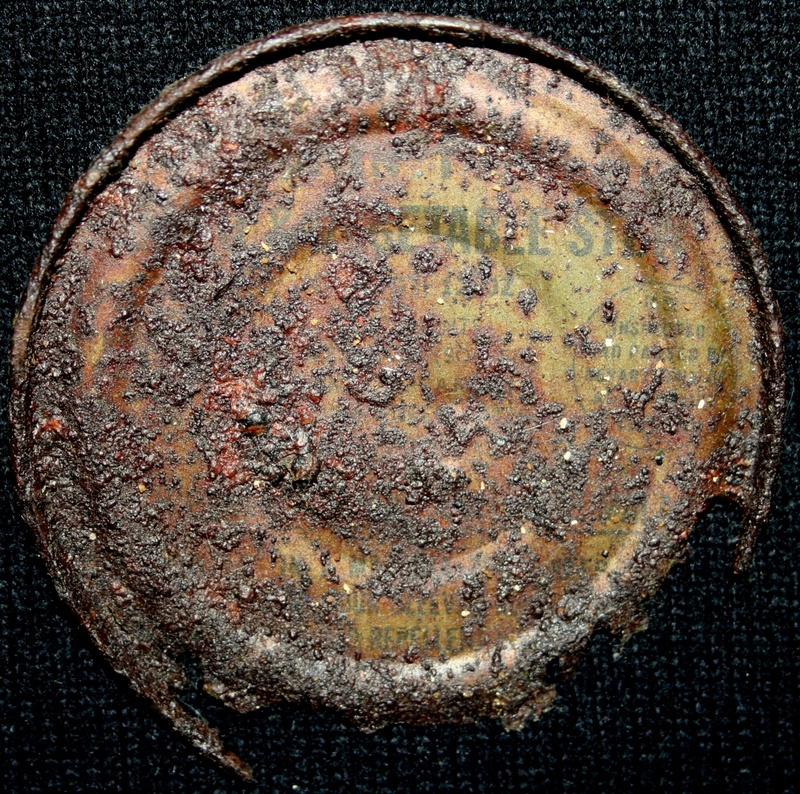 3 explode on anti tank mines, 1 is destroyed by 88mm German shot and the others withdraw. for 194th GIR : villages of Milliomont, Rechrival and Hubermont. for 513th PIR : Flamierge and high ground south west. for the 193rd GIR : Flamisoulle. The two Bns marche forward toward the hillside of Flamierge. Attack progress favorable, 2nd Battalion was ordered to join the interval between 1st and 3rd Battalion on right. 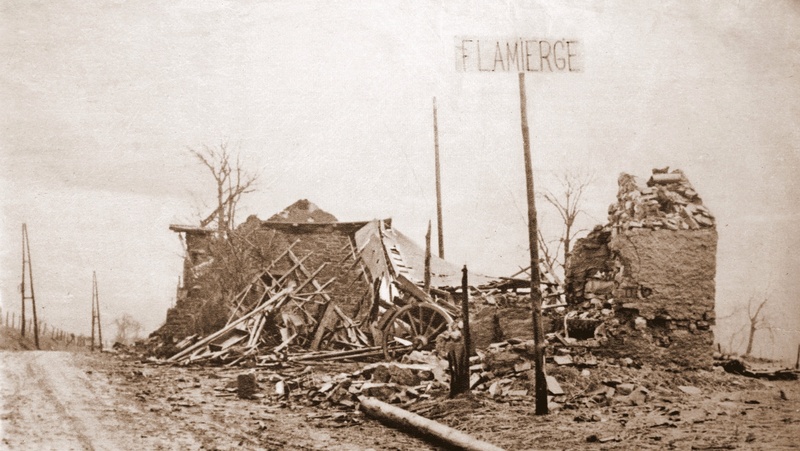 Resistance was from infantry, mortar and artillery supported by a few self-propelled guns in vicinity of Flamierge. 1st and 2nd Battalions gained their objectives with medium losses. The 3rd Bn met increased resistance as they topped the high ground overlooking Flamierge. They were opposed by strong infantry, mortar, self-propelled guns and a few tanks. By continued pressure and finally a wild charge down the hill and across the open snow field, they forced their way into the town. Flamierge fells in the hands of the Regiment around 11h42. They clear the town and gain their objective. Regimental leader Lt Col Kent is wound by a piece of shrapnel. Major Morris Anderson replaced him. At 12h40, in great confusion, the men of the 513th Parachute Infantry Regiment opened fire on Company B - 193rd GIR. Immediately, the men of the 193rd GIR intended to stopped the fires but before the first radio messages arrive in the 513th PIR, a man of Company B 193rd GIR, the Private First Class Paul Bogozelski started to run under fire to explain the error to their fellows of the 513th PIR. Finally, all objectives of the regiment were gained while all objectives of the remainder of the Division were unobtained, which left the Regiment with exposed flanks. The night of 7 to 8 January was miserably cold with heavy snowfall. from the north-west, by National 4 road, again the 2nd Bn, splitting 1st and 2nd Bn from Flamisoul. from Flamisoul in the right flank of the 1st and 2nd Bn. These attacks overpowered 1st and 2nd Battalions and forced them to withdraw from positions under direct fire of tanks and self-propelled guns. They withdrew to the woods in the vicinity of Regiment Command Post in Bois de Fragotte. Several attempts at penetration of 3rd Battalion defense of Flamierge by tanks and infantry were repulsed. The 3rd Battalion remained in Flamierge with orders to hold. The Bronze Star Medal awarded by Private John VAFIDES for heroic action on January 08, 1945 (TFH collection). The remnants of 1st and 2nd Battalions were organized to defend Bois de Fragotte and salvage and re-equipping began at once. During late afternoon, Division ordered the 3rd Battalion withdrawn. Communications had failed and 3 patrols were sent out to contact the 3rd Battalion (one from 507th PIR and two from 513th PIR). One patrol of the 513th PIR reached the outskirts of Flamierge and found the area occupied by Germans. Thinking Flamierge lost, they returned with their report. Soon after, Lieutnant McGuire arrived at the Command Post from Flamierge saying it was still in our hands and a radio had been repaired. They planned to attempt contact on the half-hour. Contact was made by this means and a message of withdrawal transmitted. They came back with the reply that they had no code facilities. Corporal Gidley than arranged a casual conversation from the CP to the OP operator into wich the 3rd Bn was listening. In the conversation, he neatly conveyed the order to withdraw from Flamierge to Monty after 24h00 in small groups leaving aid men and one officer to surrender wounded. The 3rd Battalion rogered and arrival in Monty before daylight. They were oredered into Bois de Fragotte to join in the Regimental defense, reorganize and re-equip. January 9, 1945, the Regiment remained on the defensive until afternoon when it was ordered to relieve units east of Monti and takes a new position astride the National 4 road ("Monti Highway") while 193rd GIR, 194th GIR and 507th PIR attack German lines. The sector was small and battalions were disposed in depth in order 2nd, 3rd and 1st Battalion. At the end of the day, 1st and 2nd Bn are localised north-east of Flamierge and 3rd Bn is localised in Flamierge. No contact was made with enemy but forward elements were subjected to intermittent artillery fire. January 10, 1945. 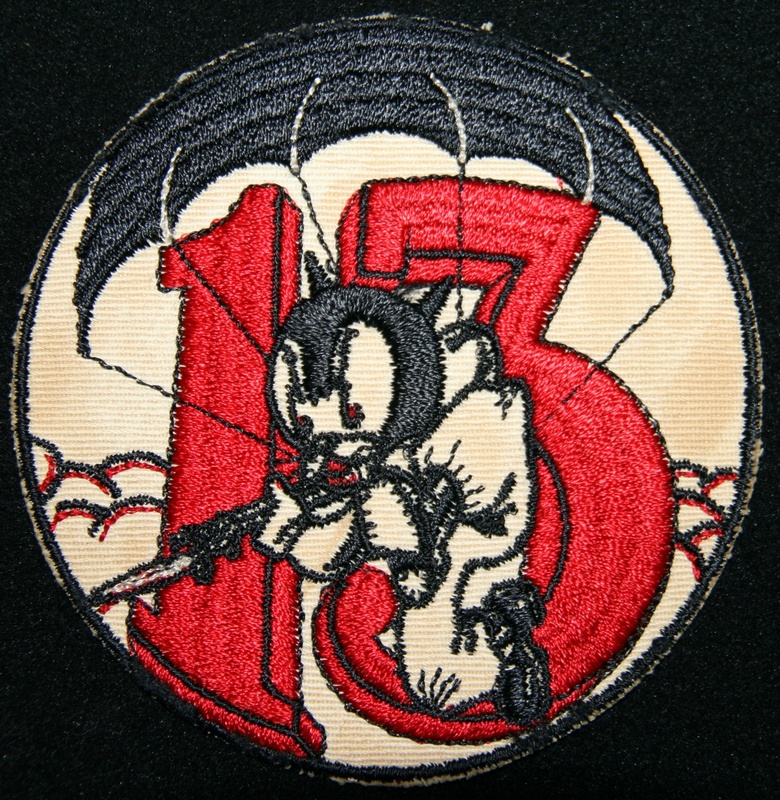 There is no change this day in the positions of the 513th PIR. 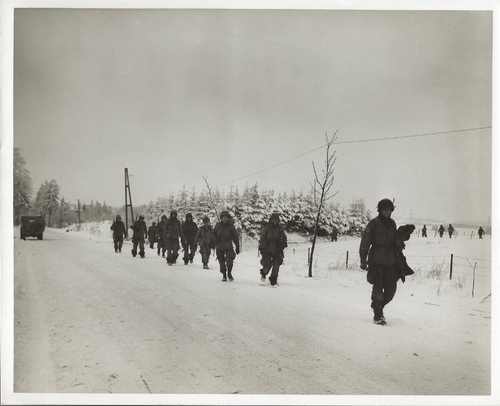 Men of the Company A - 513th PIR on the National 4 road on January 10, 1945. The legend says "Troops of Co. A, 513th Regt., 17th Airborne Division, walk toward Marche, Belgium, where they fought it out with Nazis, trapping them in the area near Bastogne. 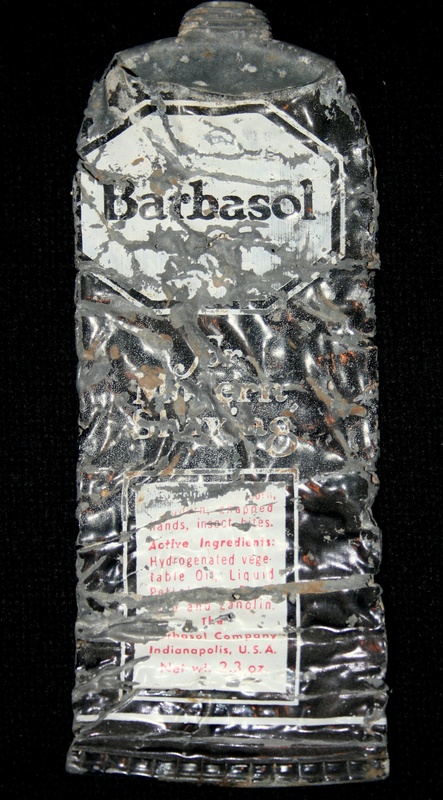 1/10/1945". At this date the regiment was localised astride the N4 road. 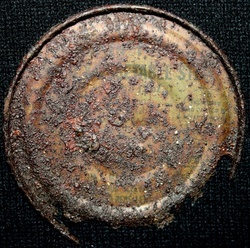 (click to enlarge) (Original US Army Signal Corps - TFH collection). 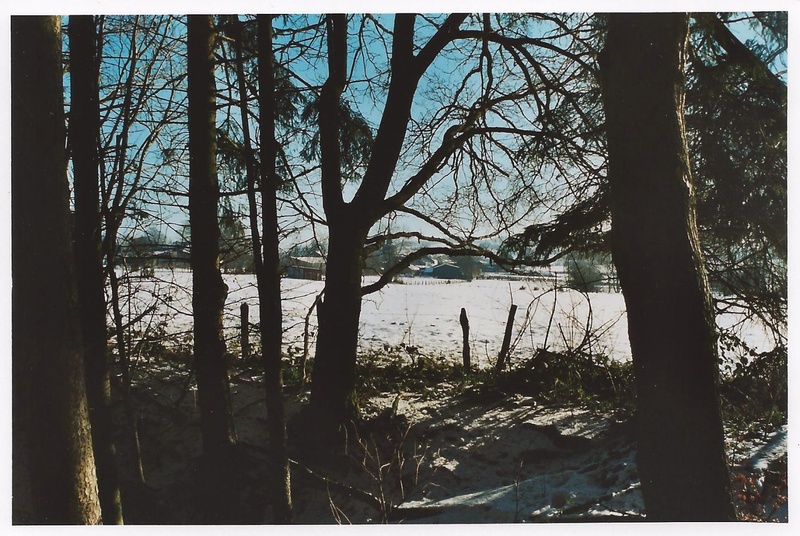 These two photos extracted from "TALON with the 17th in Ardennes" show Flamierge after the Battle, probably in spring 1945 because there is no more snow (Original photos TFH collection). January 11, 1945. The Regiment was ordered to move north just south of woods located at coordinates 5061, one miles east of Flamisoul. Battalions again in column with 3rd Bn leading, 2nd Bn in center and 1st Bn trailing. Patrolling founds woods, formerly strongly held, to be lightly held now. The men still received intermittent artillery fire during the day. January 12, 1945. The Division send an attack to north east with three regiments : 194th GIR on left, 507th PIR in center and 193rd GIR on right. The objectif was cleaning Flamierge and the woods in the sector of 194th GIR to protect Division left flank. 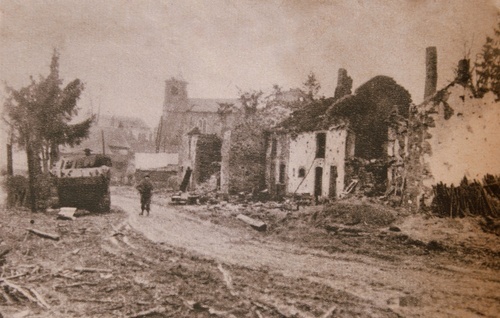 During this time, the Regiment occupied Flamierge and placed 1st and 2nd Battalions in the woods north east of Flamierge while de 3rd Battalion remained in the village. January 13 and 14, 1945. The men stayed in their positions as Division reserve while Division continued to objective with practically no resistance. Salvage work began over Division battlefield area. January 15, 1945. The Regiment moved north east to new positions in reserve with 3rd Battalion in Gives, 1st and 2nd Battalion and Hq & Hq Company in Givry. January 16, 1945. Salvage operations continued along with reorganization and re-equipping. This canteen was found some years ago in a barn located in the area of Gouvy. 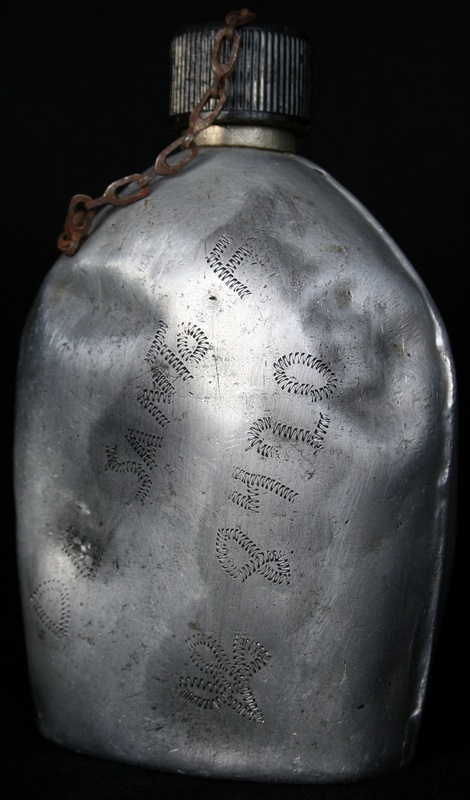 It belonged to Private Frank D De Santo (ASN 42108420) (pic below) - 513th PIR - killed in action on January 16, 1945. The soldier had engraved his canteen with his name, laundry and the 17th Airborne insignia. He is burried at Luxembourg American Cemetery (Plot E - Row 8 - Grave 35) (TFH collection). January 17, 1945. The Regiment moved again, by marching, to vicinity of coordinates 556695. It stayed in Division reserve and re-equipping continued. January 18 to 20, 1945. While still in Division Reserve, the Regiment moved forwared, east of Liheraine (coordinates 668727). Note it is probably Bois de Liherain near Gouvy. January 22, 1945. The 513th PIR moved into front line in the vicinity of Limerlé. It attack north east to secure the woods located in coordinates 7376. Scattered infantry opposition was quickly overcome and objective gained. Supply problem was great due to absence of available roads. Indeed, all roads were snow drifted and impassable for vehicules. Supporting tanks were used to break trail and pull in supplies. 2nd Battalion Recon element was caught in artillery concentration and received 5 casualties. One jeep was destroyed from same cause at later time. Roads were made by bulldozer through snow-drifts to make line of communication. Patrolling active and the enemy was contacted at Wathermal (coordinates 750771) and woods (coordinates 759768). January 23, 1945. The attack continued to east with success against small arms and little supporting artillery and mortar fire. 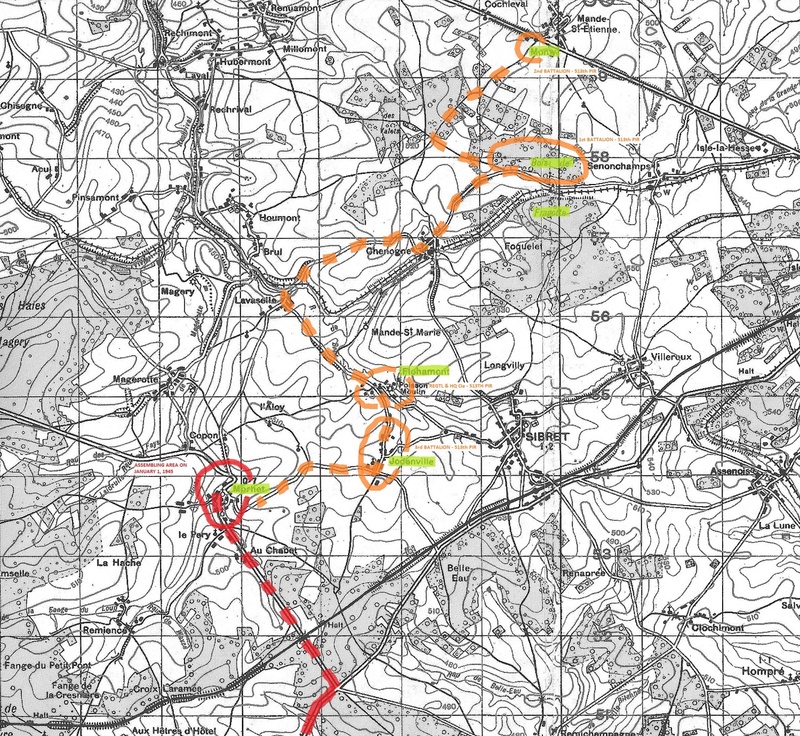 Wathermal and woods to south east were taken and Battalions pushed on toward main highway to east. 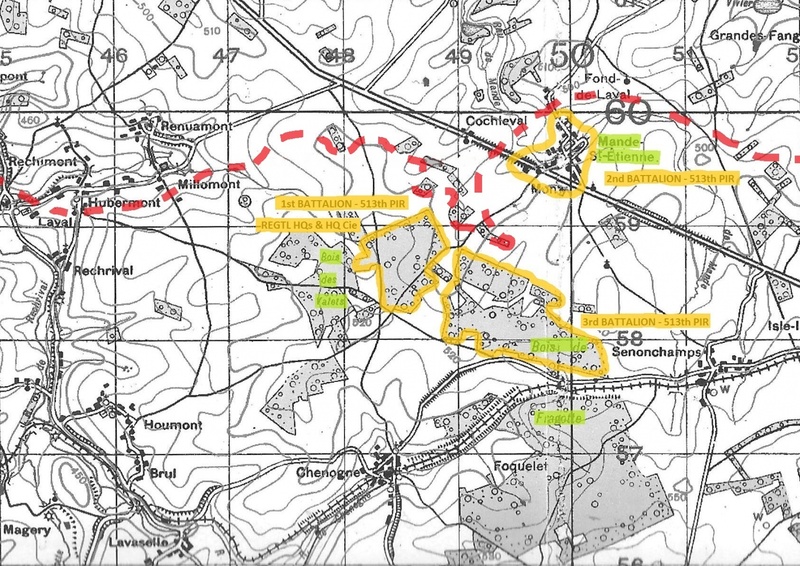 1st Battalion occupying Griben (I have not found this place) and 3rd Battalion Schmiede (also not found. I think it os probably the village of Schmett)). The 2nd Battalion remained in woods located in coordinates 760765. Supply and evacuation were still tremendous obstacles due to deep snow. January 24, 1945. For the third consecutive day, the Regiment continued its attack to east with 2nd Battalion taking woods in the vicinity of coordinates 792780, 1st Battalion reached coordinates 7879 and 3rd Battalion remained in the vicinity of Schmiede (probably Schmett) on coordinates 778772. January 25, 1945. After three days of fighting, the Regiment remained on defensive with only active local patrolling. January 25, 1945 is considered as the official date of the end of the Battle of the Bulge. The Regiment then entered in the Rhineland Campaign.